I'm obsessed with finding the next best brushes for when I'm applying my makeup. I have about fifty and I still need more. They're all different and some work way better than others. This brush that I was just sent not too long has made it to the top of my favorites list for the perfect foundation brush. It's the Yalmeh Foundation Brush. It has a thick, pretty white handle. It's very easy to grip. Perfect size. The bristles do look like they are very high quality. They aren't stiff and also not too soft. They're actually just right. I haven't experienced any shedding from them, which makes me very happy because I've had so many that shed right from the day that I've bought them. 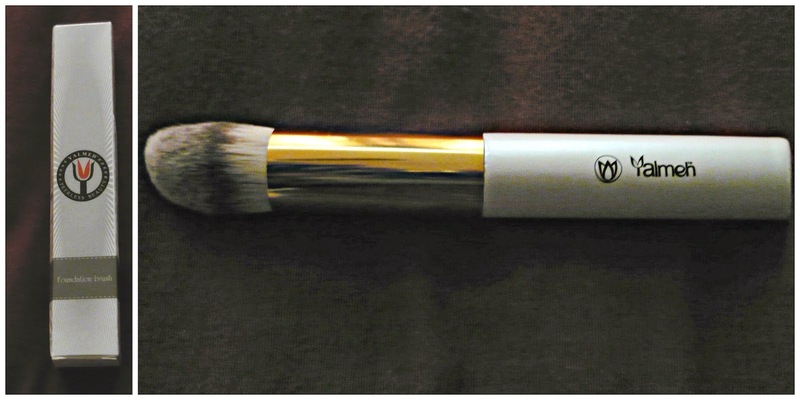 I've used this brush for both cream and liquid foundations and it works so well. I like that it works better than the flat foundation brush and sponges that I used before. I feel that the brush really does make it easier to apply my foundation and it goes on more smoothly than when I used other products. Yes, no joke, it sure can help you achieve a flawless finish. It's probably because it works great for blending and like I said smoothes everything out. No more fine lines of makeup! I find it easy to clean, the same way that I clean all of my brushes. I use a little bit of olive oil to get most of the built up makeup out and some Dawn dish detergent to get it super clean. Then I rinse, and stand it in a cup with the other brushes to dry overnight. Works great and good as new when dry. Yes, like I said in the beginning--I love this brush. It's also great that it is cruelty free, vegan friendly, and hypoallergenic. Those are three things I actually look for in the many products that I use everyday, as I'm sure a lot of other people look for these things as well. Thrilled to have this brush in my collection! 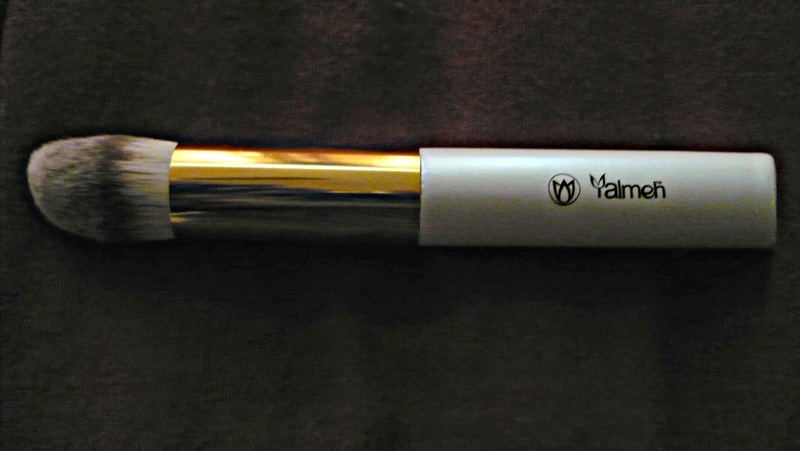 You can purchase your own YALMEH foundation brush on Amazon at a great price.